It's 8:15pm on a cold Wednesday night in early November. The building at 330 5th Avenue is all but dead, save for the cast and crew of The Good Person of Setzuan. The harsh luminescent lights in classroom 7 illuminate student actors hard at work. It’s the middle of rehearsal, in the middle of the week, in the middle of the semester. Needless to say, everyone is a little fatigued. With tissue in hand, Student Director Corinne Cordasco (’14) softly directs the cast as they make their way around the outline of a stage. The cast, made up of mainly transfers students and freshman, has just come off a nine-hour Saturday rehearsal and are now rehearsing lines from a revised script. It’s incredible that they have the energy to put on a show as philosophically charged as The Good Person of Setzuan. The play by German playwright Bertolt Brecht tells the story of Shen Teh, a woman living in Setzuan who is visited by four gods on a search for one good person. They reward Shen Teh for her goodness by giving her money to buy a tobacco shop. Her kind-heartedness is soon overshadowed by those who take advantage of her. To protect her interests from the greed of others, she disguises herself as a man, Shui Ta. Sound confusing? It’s really not. It’s essentially Twelfth Night and Noah’s Ark – without the ark or flood. “The play asks the question of how can goodness survive in a world of scarcity and selfishness where good people are taken advantage of and where people, to protect themselves, have to be ruthless,” Co-Director and Professor Kenan Minkoff said. The co-directors share responsibilities in differing capacities. “Corinne has been working much more in a conceptual capacity and I've been working in a practical capacity,” Minkoff said. Cordasco’s creative vision for the play leads Minkoff as he works with the actors on technique. TKC Theater seeks to be “challenging and delightful to this community,” Minkoff said. The same can be said about their future. Corinne points out that the challenge comes from the organic nature of TKC Theater. 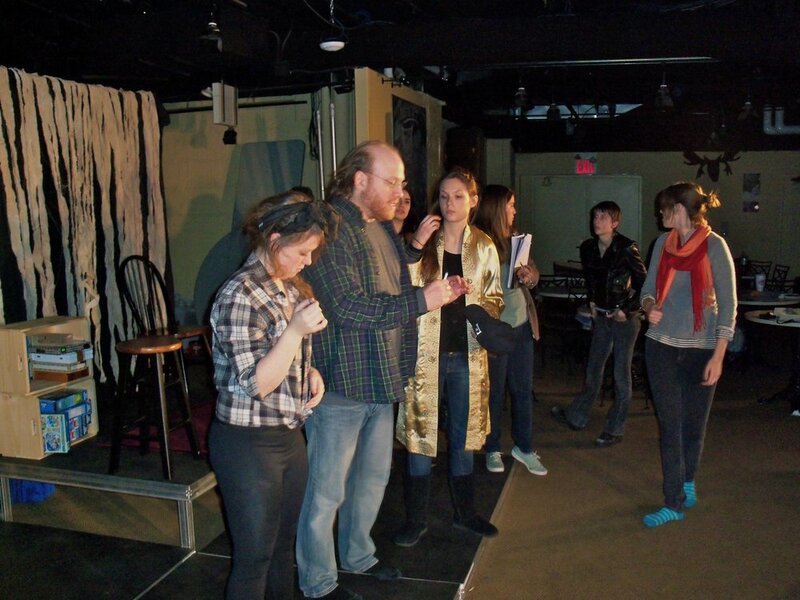 Because they are entirely student-run, they rely on student enthusiasm to keep theater alive. The future should prove delightful, since May musical theater is on the horizon. Although according to Minkoff, they are “moving in that direction ... it will be a while before [they] do a full-fledged musical." For now, music is incorporated into the straight plays to prepare the students for the day when a musical may finally be produced at King’s. In the meantime, TKC Theater will continue to teach. “Bearden and Doc are teaching about mediums, while we are teaching content and the art of creating and enacting stories that can then be fitted into different mediums," Minkoff said. The Good Person of Setzuan debuts in the Student Lounge this Thursday at 8 p.m., and Friday and Saturday at 8 and 10 p.m.